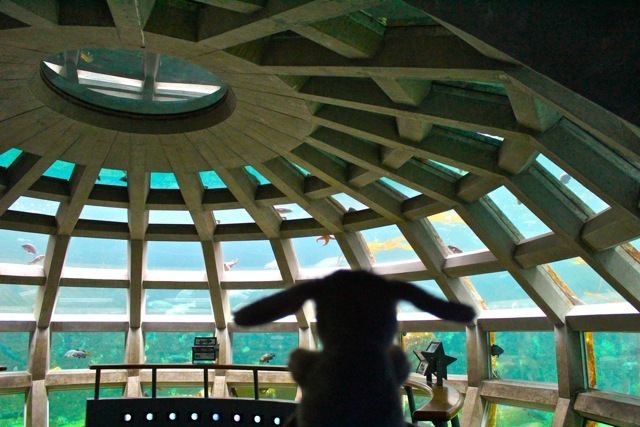 Monorail Bunny Explores Seattle Aquarium! 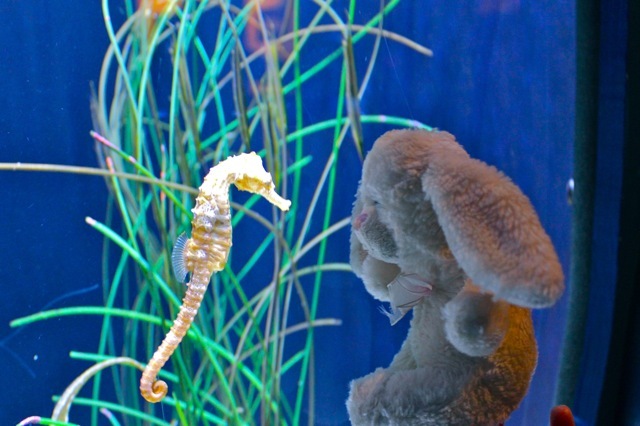 Monorail Bunny had a wonderful opportunity to visit the Seattle Aquarium and meet all sorts of marine animals. 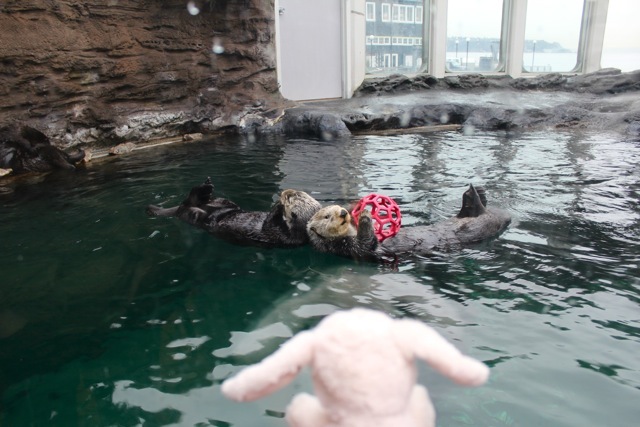 Bunny met sea otters, giant pacific octopus, cowfish, seahorses, jellyfish and more! 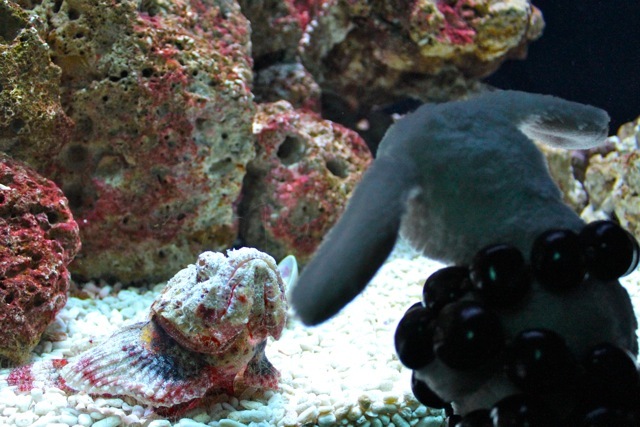 Seattle Aquarium is currently featuring ‘Hawaii Weekend‘ on January 26-27, 2013 – it’s a colorful celebration of their Pacific Coral Reef exhibit with lots of hands-on activities and colorful tropical fish! 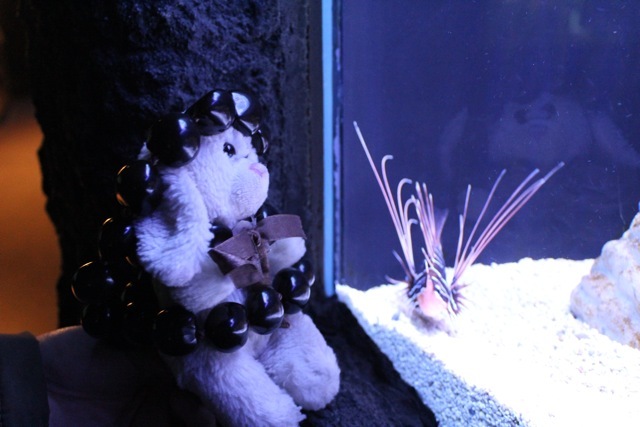 In honor of Hawaii Weekend, Bunny wore a traditional Kukui nut necklace from Hawaii. 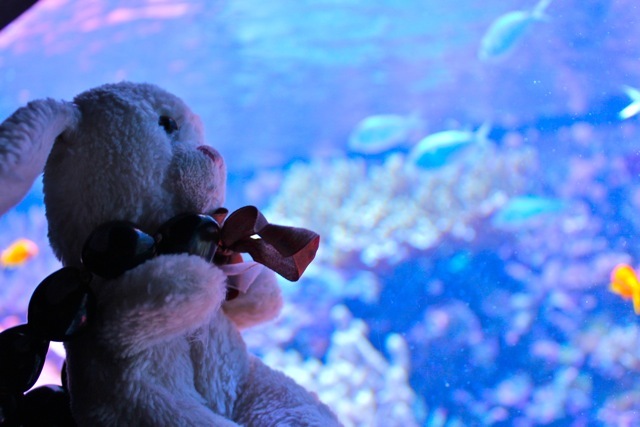 Below are some of the photos from Bunny’s adventures. You can see the full photo album on our Facebook page by clicking here. Monorail Bunny was accidentally left behind by a passenger on the Monorail during summer 2012. The Bunny was found by the Monorail conductor and brought to the Seattle Monorail Services office. We have been using social media to try to locate Bunny’s owner. 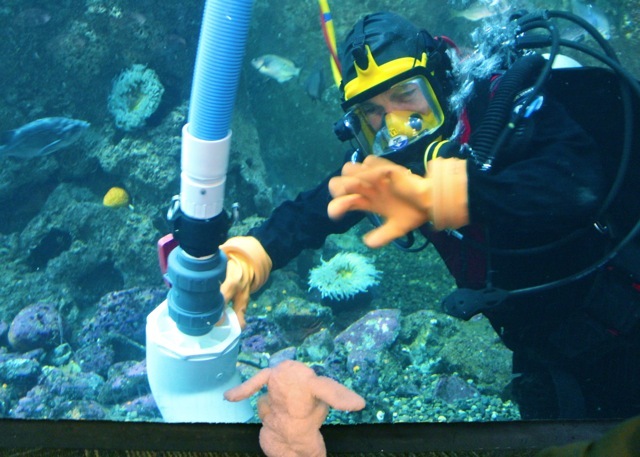 We have adopted Bunny and he now travels all over Seattle going on adventures of our beautiful city while he patiently waits to be reunited with his owner.